Pablo de Greiff, the UN special rapporteur on the promotion of truth, justice, reparation and guarantees of non-recurrence, recently visited the island nation of Sri Lanka. De Greiff met a range of people during his two-week visit and traveled throughout the country. He’s visited on previous occasions and will present a comprehensive report to the UN Human Rights Council in September 2018. However, the fact that this list of achievements does not include most of the priority measures that I mentioned in the statement after my first visit (dated April 11, 2015) makes obvious that the process is nowhere close to where it should have been more than two years later. These expectations were not merely those of the international community but of the government of Sri Lanka and of Sri Lankans’ generally. It was the government’s ‘100 Day Program’ that made commitments to its people concerning accountability. Those commitments were specified in greater detail in a resolution at the Human Rights Council co-sponsored by Sri Lanka (HRC Res 30/1 Promoting reconciliation, accountability and human rights in Sri Lanka adopted on October 1, 2015), which won plaudits not just among the international community but in Sri Lanka as well. The country committed itself to establishing in a two-year period (which lapsed in March of this year) measures on four different areas including, truth, justice, reparations and guarantees of non-recurrence. De Greiff goes on to provide numerous sensible recommendations for the Sri Lankan government. Nonetheless, one should not expect Colombo to act upon most of those suggestions. Sri Lanka promulgated a bold transitional justice plan in September 2015, but – based on how little has happened since then – it’s unreasonable to believe that the country’s current transitional justice process will be credible or comprehensive. Since Maithripala Sirisena became president in January 2015, Colombo has engaged with a variety of UN Special Procedures mandate holders. This engagement stands in contradistinction to the reign of Mahinda Rajapaksa, who ruled from 2005 to 2015. While it’s ostensibly good that the Sirisena administration is granting UN Special Procedures mandate holders (among others) access to the country, let’s not conflate these types of visits with sincerity vis-à-vis reform or genuine changes on the ground. Sri Lanka has largely ignored the Human Rights Council resolution from two years ago. Even aspects of reform that are arguably more modest – pertaining to demilitarization, repealing the Prevention of Terrorism Act or releasing Tamil political prisoners, for example – are being disregarded. The Sirisena administration made some early steps in the right direction and has not hesitated to embrace cosmetic change since that time. 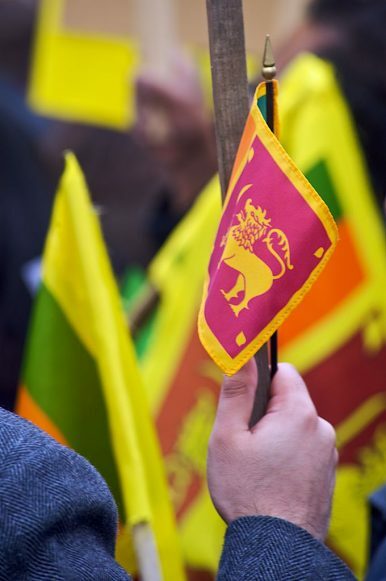 Unfortunately, there are now a multitude of reasons to be worried about the direction that he and Prime Minister Ranil Wickremesinghe are taking the country, particularly when it comes to the unresolved ethnic conflict. Colombo’s continued UN engagement won’t change that. The Obama administration’s messaging on Sri Lanka misses the mark yet again. Political Prisoners and Sri Lanka’s Sincerity CrisisExplaining Transitional Justice in Sri LankaSri Lanka Isn't Serious About Transitional JusticePutting Sri Lanka’s Office of Missing Persons in PerspectiveSri Lanka: Is Transitional Justice in Trouble?